Refinish, Renew and Restore your historic furniture, family hierlooms or recently damaged woodwork. 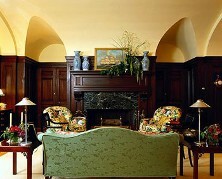 Our Antique Restoration Services are located in Granby and Southbury CT and serve all surrounding states. Eves and Weekends by Appointments. To be sure we are not working off-site, please call ahead. Furniture Repair and Antique Restoration; Refinishing. Our business provides only the highest quality furniture repair and antique restoration. We use high grade and professional quality materials, guarantee our work, and have decades of experience on hand. Minuteman Furniture Restoration & Antiques located in Granby and Southbury, Connecticut offers furniture stripping, refinishing, restoration and complete repair services. We specialize in larger jobs performing our services on antique pieces, kitchen cabinet sets, and other larger items. We also do smaller repair, regluing, touch-up or recoating jobs as well. Contact us at (888) 608-0470 to understand more about our unique qualifications, pride in our delighted customers, and to make an appointment for a no-obligation estimate on your antiques, cabinets or woodwork. Revitalize an older piece of furniture with repair services from Minuteman Furniture Restoration & Antiques. Services offered include: seat caning and rushing; historically accurate re-upholstery, and new upholstery services. Our staff also strips removing old paint or varnish from historic doors, windows, stair railings and the like. We refinish when appropriate and recoat or preserve antiques with high quality stains, lacquers, sealers, french polish, etc. With our history of working on all manner of older furniture, we can recommend how to best return your treasured hierlooms, family antiques, or even newer pieces to their pristine and authentic condition. Our methods developed over decades of experience enable us to recommend how to best improve, preserve or increase the value of your woodwork. Our Kitchen Cabinet refinishing work has a long history of increasing home resale value at a fraction of the price of replacing older cabinets with new ones. We can return a piece of furniture to its original condition or change the wood tone, color or accents to better complement your home furnishings and decor. Our furniture restoration and preservation services are available for dressers, chairs, tables, dining or bedroom sets or any furniture made from wood. Recently we are doing more and more custom farm tables built to fit the area of your choice. Call for more information about our furniture repair services and refinishing capabilities. Minuteman also offers antique restoration and refinishing services for any kind of project, Although we do our share of smaller jobs, one of our specialties is working on larger pieces or projects. 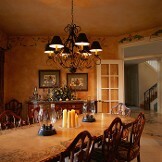 We can duplicate older furniture or create custom pieces to match. You can E-mail us for more information. Minuteman's 1000's of satisfied customers while primarily residential, also include a variety of commercial settings. We do cleaning and recoating for worn or dirty Church Pews, Frontals or Office furnishings. We have restored dozens of wooden tables desks and chairs in worn condition for priviate and public schools, libraries, government or insurance offices or similar settings. Bring us your antique restoration challenge, your tired looking cabinets, etc. and we will make them shine with new life. Minuteman prides itself in preserving cherished family memories inspired by grandma or grandpa's furniture passed along or by revitalizing the woodwork in your home. "They don't make it like they used to", especially furniture... so let us keep your treasured items out of the trash heap and ready to be passed onand treasured by the next generation. an appointment for a no-obligation estimate or schedule repair or restoration work on your furniture and antiques. Duchess & Westchester counties in NY, Hampton & Berkshire Counties in Mass.